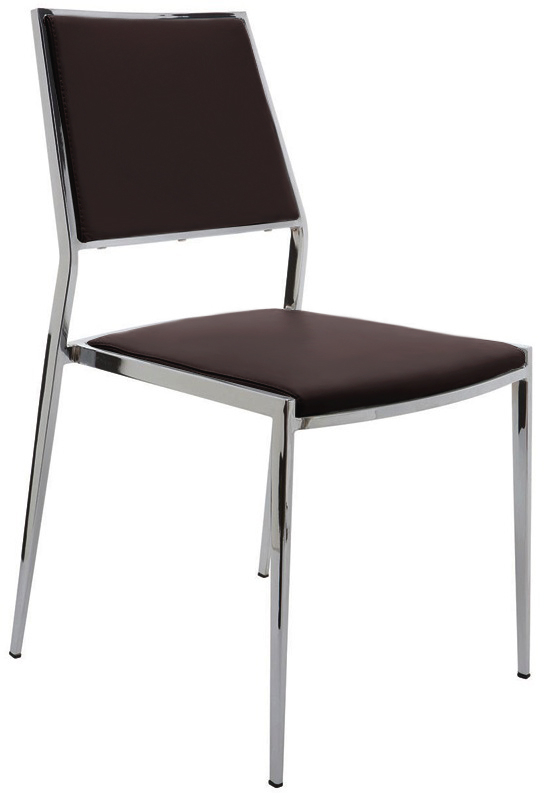 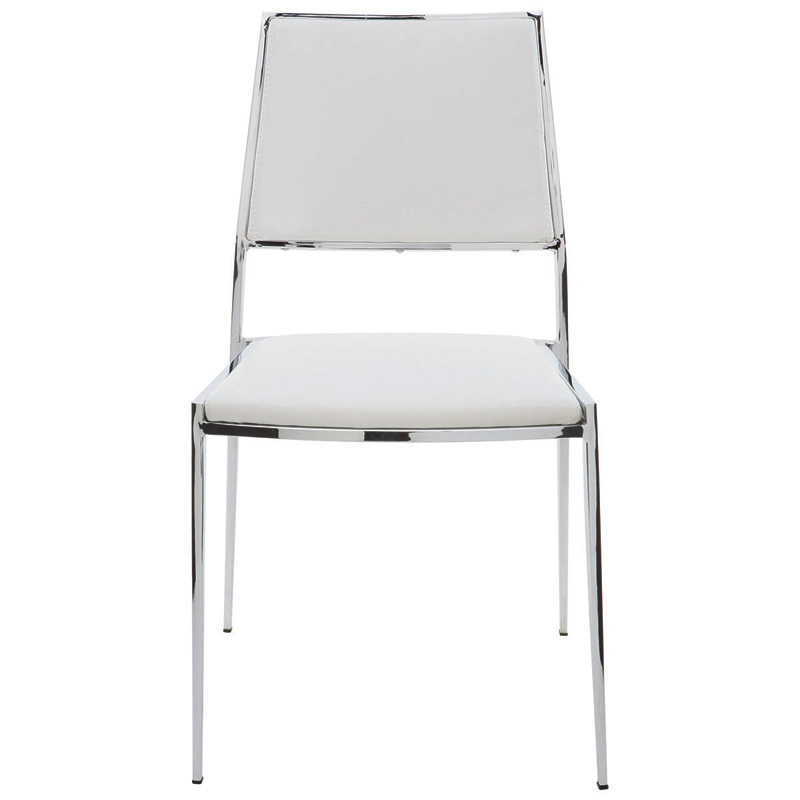 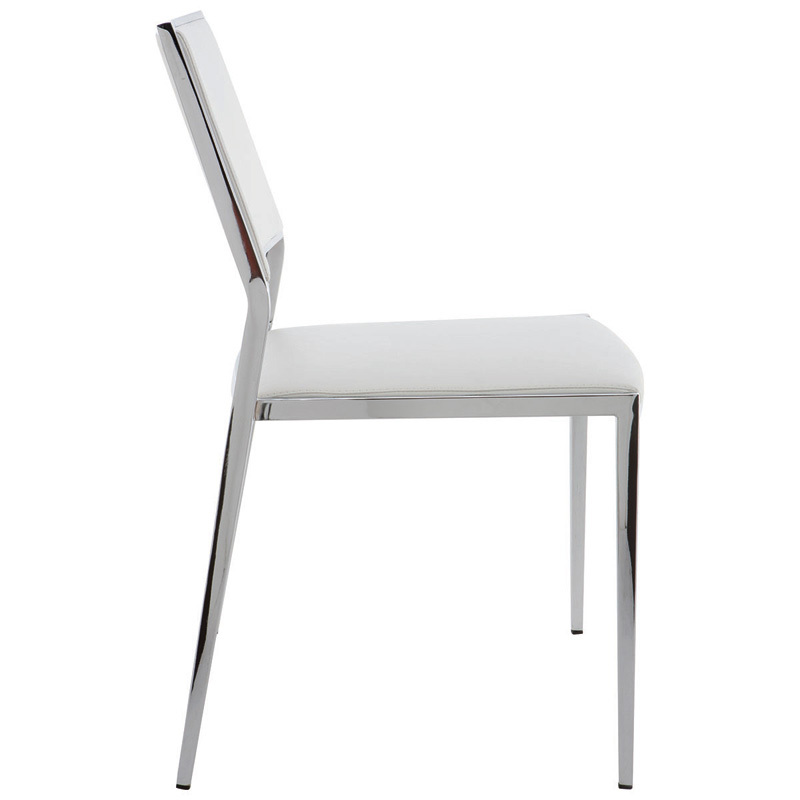 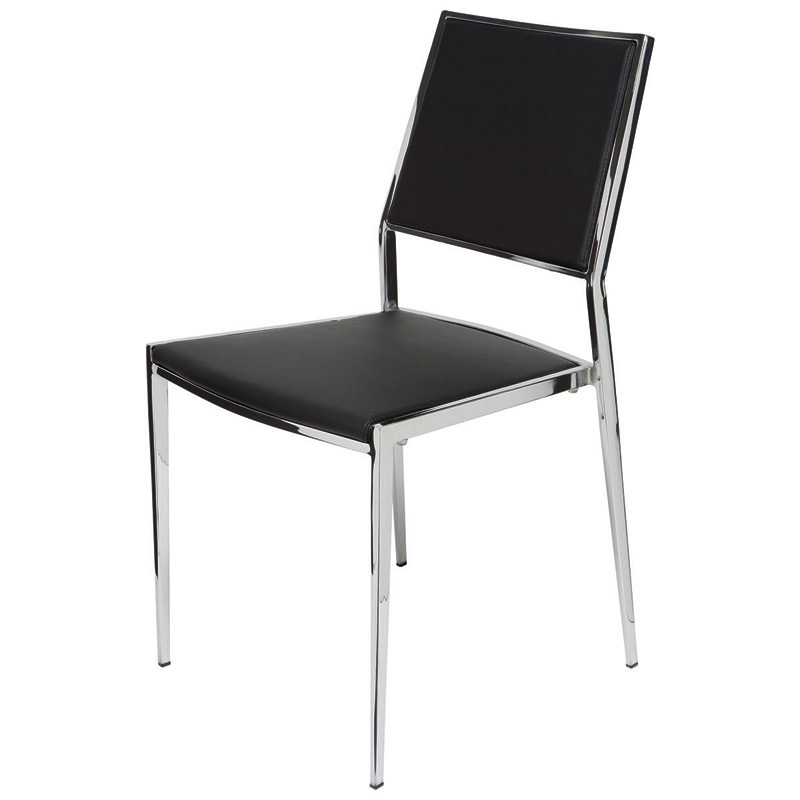 The contemporary look and sleek design of Aaron dining chair will complement any space. 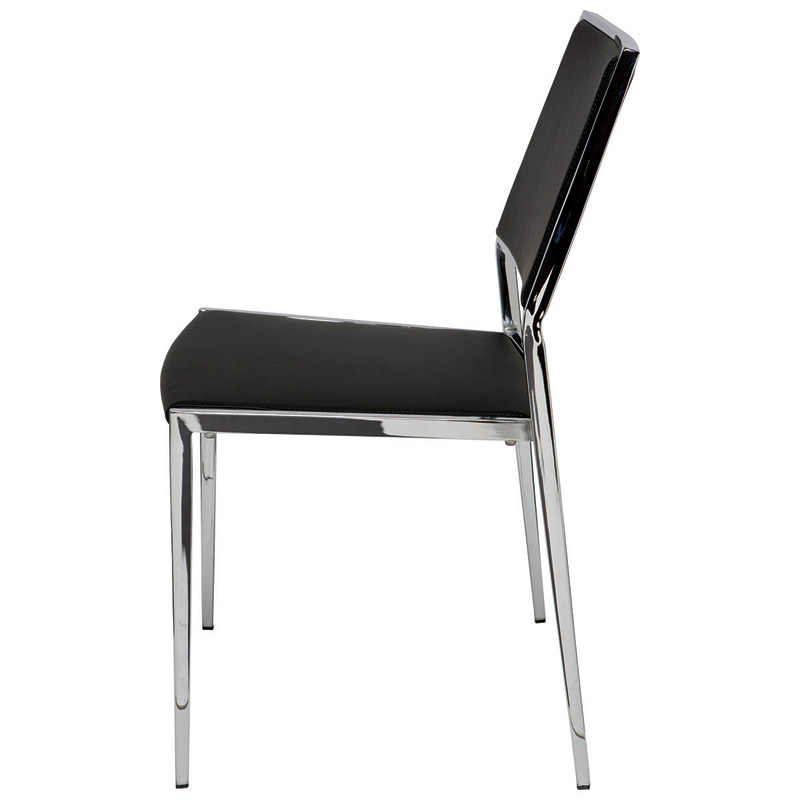 It in constructed with an angular and glimmering chromed steel frame which supports a comfortable seat fabricated with CFS foam and durable yet soft naugahyde upholstery. 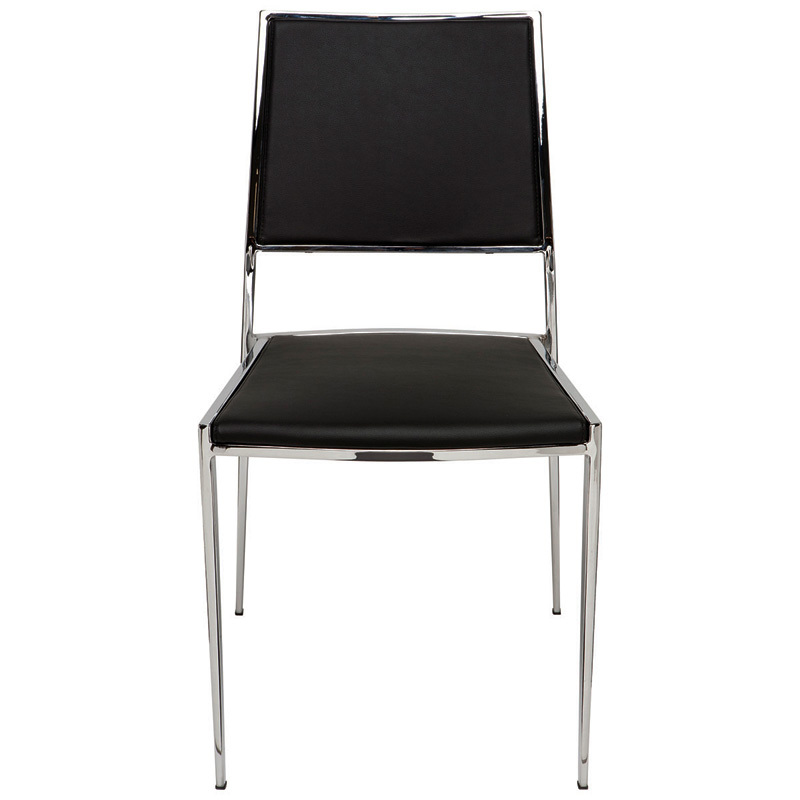 -- Please Choose an Option --	19"W x 22.5"D x 33.5"H: Seat H - 18.5"